A lot of you already know I am a Tupperware consultant. I would be happy to be your Tupperware consultant. Whatever you want right now - great products, organization, fundraising, free Tupperware, or a new stream of income, you can contact me and I will help you get it. My contact information is available at my Tupperware page. You get free Tupperware and hostess gifts through an in home party, an online party, a Facebook party, or catalog party. You can place orders with a lifetime warranty through me. I can provide warranty service to you. I can also help you with custom kitchen organization. I can help you get started with a Tupperware business of your own. There are no strings attached with the kit. You can sign up as a consultant just to get the discount if you wish. *If you pay the whole kit up front you will get a $60 credit once you reach $1000 in sales credit. Your kit will arrive within a few days of signing up as a consultant. You earn 25% discount/commission. Plus, Tupperware is always giving you gifts. In your first 13 weeks of business you are eligible to get the things in the confident start program shown below. 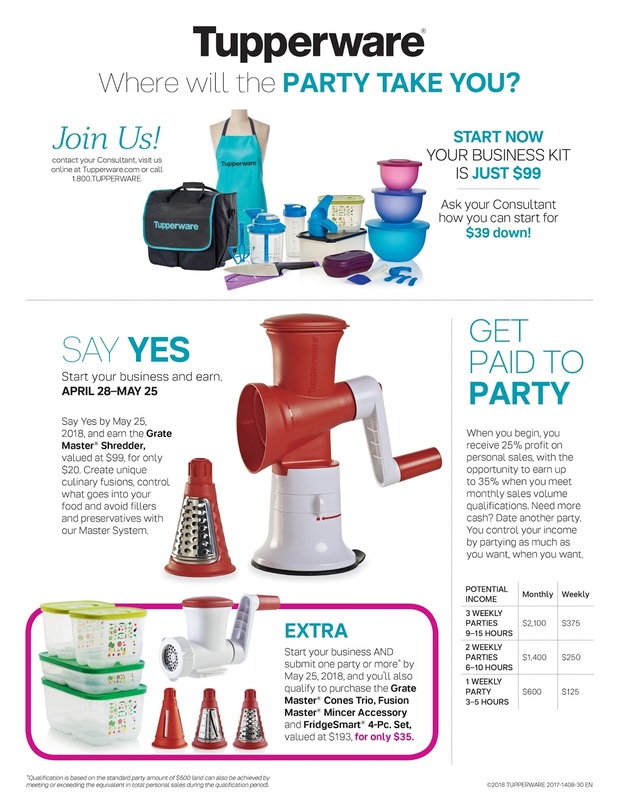 Tupperware is constantly offering other incentives and free product to you, just for doing your job! 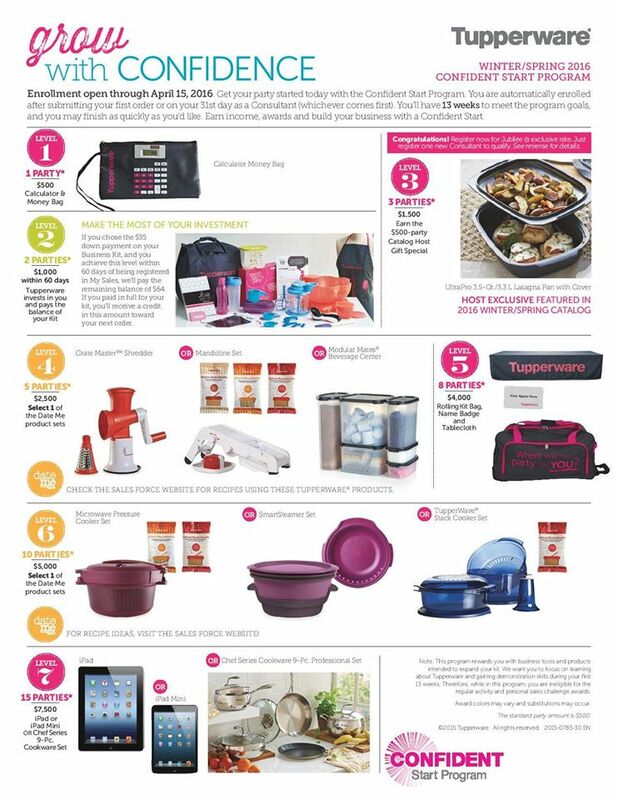 There are lots of rewards with Tupperware! *Based on a party average of $500. 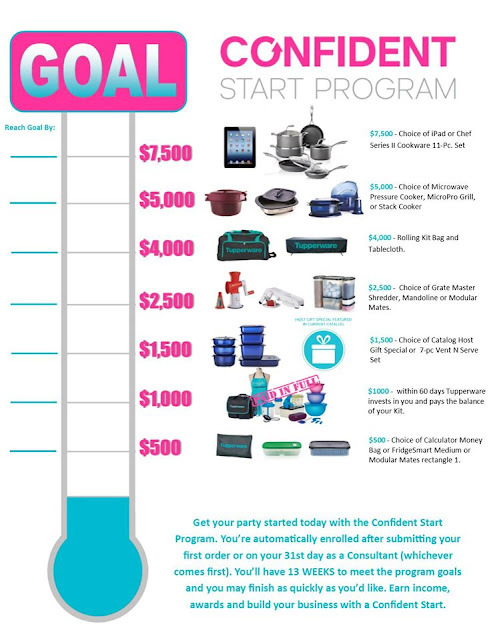 If you do one big fundraiser that hits the $7,500 mark in sales you can earn all of this in one fell swoop! It's really the sales amount which qualifies you for the awards.